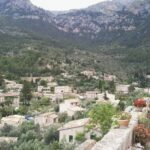 Deia is a village in the northwest of Majorca half an hour from Palma, between Valldemossa, Soller and Bunyola. 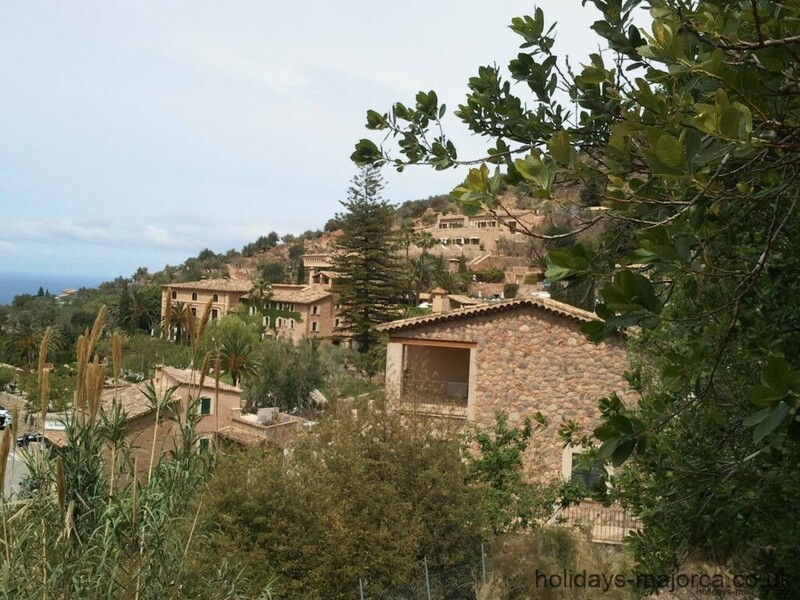 It is surrounded by the Tramuntana Mountains with its church on the top of the hill. Approximately 650 people live permanently in the area. Built on the hillside of the second highest mountain in Majorca, the 1,062 meter Teix, this makes it the ideal base for numerous excursions from autumn to spring. The town is located 200 meters above sea level on the southern side of Teix to protect it from the strong northerly winds. The entire town drainage system was build in the time of the Arabs. During the Muslim occupation, in the 10th to 13th century, the area became agriculturally rich. When the Christians arrived in the 14th century, two monasteries where built. 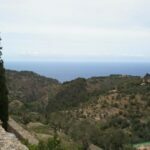 Deia has marvellous views over the mountains and the sea, but if you are looking for some culture, there is also an excellent Archaeological Museum and Norman Yanikun Museum to be visited. 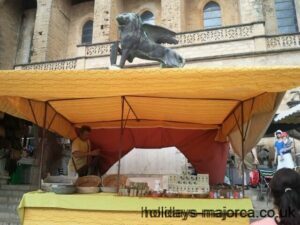 In town there are also some lovely little shops, bars and restaurants, where you can enjoy traditional Majorcan meals. 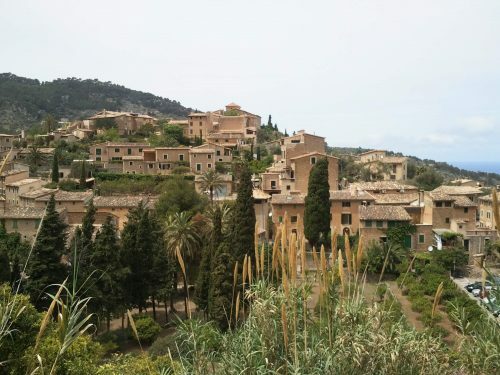 Peace and quiet in Deia is now a thing of the past, yet the village has remained secluded thanks to its precipitous seaside road which boldly sidesteps the chasms carved into Majorca’s west coast. 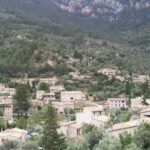 The name Deia comes from the Arabic ad daia which more or less stands for village, and this is exactly what Deia still is. The Moors planted fruit and vegetables in its terraced gardens. Following the Reconquista these were enlarged, with olives and citrus fruit being cultivated at heights of up to 2,000 feet (600m). Fishing and sheep farming helped vary the villagers’ diet. So that it was in a better position to defend itself against pirate attacks and the bitter north winds, the village grew with its back to the sea. This is how it stands today. 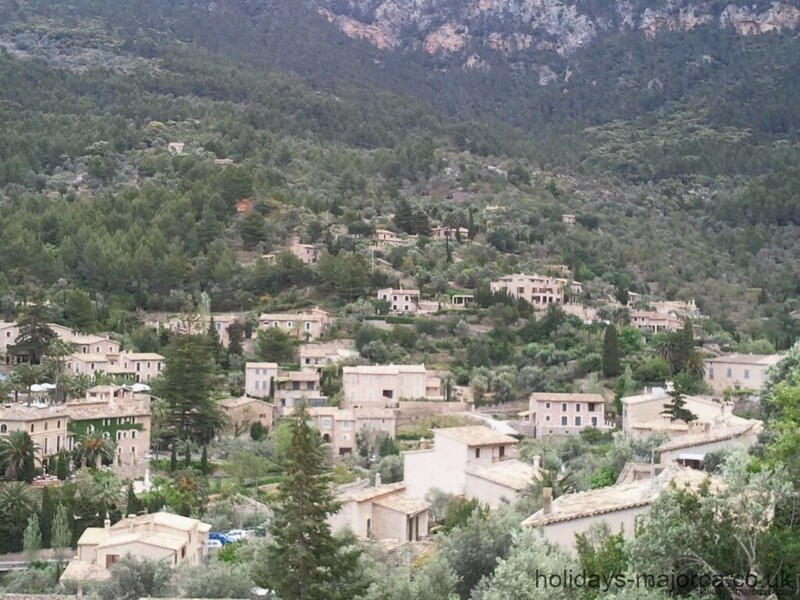 Wedged in between mountains, sea, and forest, Deià basks in the sun. 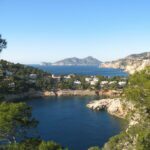 On a small hill, a mere 692 feet (211 m) high and simply called Es Puig, the mountain, stone houses the colour of earth with brilliant green shutters look out over the sea and Deia’s bay, one of the most inaccessible and most beautiful on the northwest coast. Up on top of the hill is the focal point of the village, the church of Sant Joan Baptista, with clusters of houses scattered around it. In the village, steep paths lead past buildings akin to small fortifications, built to protect those inside from marauding corsairs. Vines creep up the walls of old houses lovingly restored by their new owners, marigolds provide colour with their pink and orange blossoms, palm and cypress trees sway in the wind. This little hamlet is heaven on earth – and its inhabitants know it, and want it to stay that way. The coaches crammed full of day-trippers crawling through Deià at a snail’s pace can’t stop for long, as the village has no parking lots for large vehicles. It doesn’t want them; it wants everything to carry on as it always has done. And luckily for Deia, at least – it does. By remaining obstinate on matters concerning coach parks and planning permission, the people of Deia have achieved a lot for their beautiful home. It rests on the little hill at the foot of the Teix as unspoiled as it was when Robert Graves first set eyes on it in 1927. To really enjoy this town, you’ll need to walk through its many narrow stone-paved streets from the Middle Ages. If you get to the top of the hill, you’ll arrive to the 14th century church and the Municipal Cemetery. The cemetery it is opened from 09:00 to 19:00 with beautiful views over the town and where you’ll find the graves of many of Deias relevant artists, such as Sir Robert Graves, English writer and poet; Abdul Mati Klarwein, German modern painter; Brian McMinn, South African painter and Alfredo Miralles, Spanish painter. If you don’t wish to spend the afterlife standing up, then don’t die in Deià, or, to be more precise, don’t be buried here. Whether artist or aristocrat, those consigned to the grave at the cemetery in Deia rest in peace in the vertical position – due to lack of space. At least, this is the explanation locals give for the tiny headstones. This hasn’t stopped many people copying British writer Robert Graves and coming here not only for a quiet vacation but also for serenity in death. The high-lying graveyard is thus something of an attraction in itself. A tiny memorial plaque inscribed with the words “Robert Graves, Poeta” draws loyal admirers of the unconventional yet successful writer to Deia year after year. The world-famous author of I, Claudius, without whom Deia would not be what it is today, was buried at the cemetery at the foot of the Teix, the fifth-highest mountain on the island, in 1985. Bruno Neuhaus, a German painter, Baroness Gloria Victoria Ramirez, a relation of the Spanish royal family, and various other late celebrities accompany him here on his final journey. Upright. Deia is known for numerous artists, musicians and writers having found inspiration in the town since the 20th century. 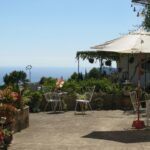 Notable residents of Deia have been Manuel de Falla, Santiago Rossinyol, Sir Robert Graves, William Waldren, Daevid Allen, Sir Andrew Lloyd Webber, Mati Klarwein, Kevin Ayers, Pierce Brosnan, to name but a few. During the summer, in the Café Sa Fonda there is usually live music and if you’re lucky, you could find yourself enjoying a live impromptu session from the likes of Eric Clapton, Kevin Ayers, Joan Bibiloni as well as other well-known musicians. Robert Graves, who became a permanent resident in the 1930s, wasn’t the first famous foreigner to come to Deia. A travel guide reported a collection of strange and extravagant non-locals here as far back as in 1878. Almost all of these “outsiders”, many of them now in their second or third generation like the Graves family, belonged to a community of freethinkers, young and old, who wanted to live out their very own philosophy of life in this remote village. Lured by the fame of the early artists’ colony, they tried to settle here and in doing so found themselves exposed almost unintentionally to a very different kind of tourism, the kind long propagated by the Balearic island on its popular beaches. 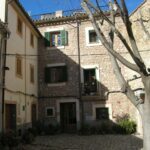 From the beginning of the 20th century onwards the magnetism Majorca’s fifth smallest community held for authors, artists and musicians increased. Graves was followed by a number of creative Europeans and Americans – Anaïs Nin, Ava Gardner, Alec Guiness, Peter Ustinov, Gabriel García Márquez, Kingsley Amis, Alan Sillitoe and Anthony Burgess – who spent varying lengths of time in pursuit of peace, relaxation and inspiration in one of the most remote mountain villages on the island. 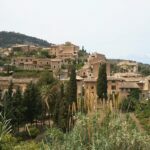 As shocked as the villagers of neighbouring Valldemossa were by George Sand’s lifestyle in 1838 and as quickly as they wanted to be rid of her – although they could charge her double for everything she bought – less than a hundred years later the people of Deia had learned to greatly appreciate what tourism had brought to their village: money. Many were delighted, selling most of their worldly possessions to the new arrivals. 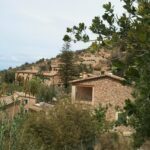 The consequences of this communal move to get rich quick are still evident today; the local dialect in Deia is English mixed with a smattering of Mallorquí and is spoken all year round. Over a third of the inhabitants are from outside Spain. The local consensus is that the numbers should stay at that. 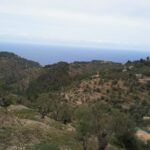 Unlike when Robert Graves was alive, it’s now much harder for non-residents of Deia to find a home here. 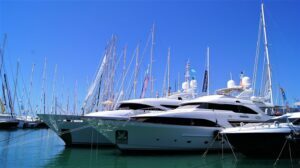 Unless you happen to be a Hollywood movie star and have a wife who originates from Majorca (and provided you have the necessary million or two), in which case you might be lucky enough to procure one of the very few desirable residences up for sale in the district of Deia. 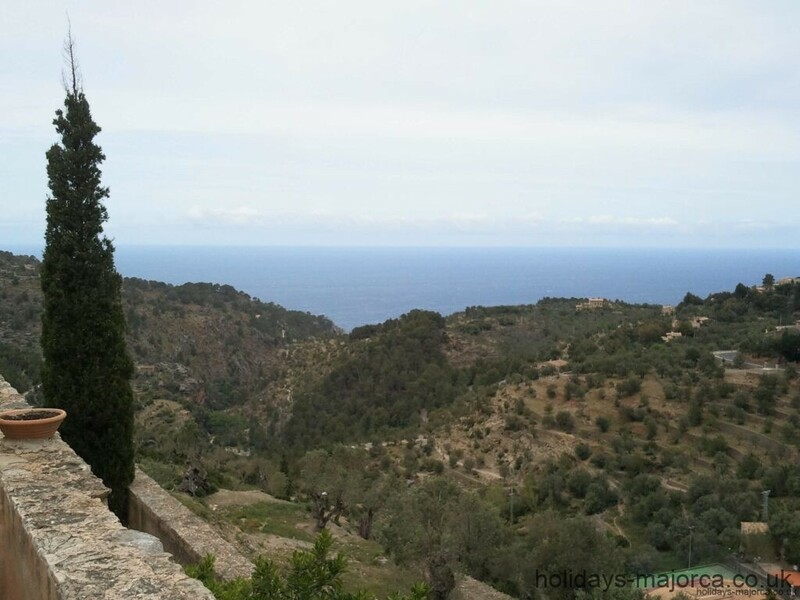 Like Michael Douglas, he was fortunate enough to buy the secluded villa of S’Estaca from the heirs of the Son Marroig estate, built by Arxiduc Ludwig Salvator in mock-Moorish style. The houses in the famous artists colony are expensive and you can only build on plots of land which you can call your own and which must measure over 160,000 square feet (15,000 m2). Lack of space is thus not only a problem for the deceased but also for the sun-loving living who have set their sights on romantic Deia as their holiday domicile. In the mountain village where the number of inhabitants totals a mere 600, concrete bunkers are an alien concept. The few hotel rooms and cottages rented out in the summer have gone to loyal regulars for years – writers, painters and actors from all over the world – who pay extortionate prices for them. 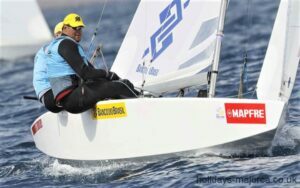 Some speak of the “ghetto of the rich”, where the beautiful and affluent lend Deia the air of decadence it often adopts. Exclusive boutiques, half-hidden art galleries, not one but two luxury hotels and a number of excellent restaurants, where the crowned heads of Spain dine from time to time whilst on their traditional vacation in Majorca, “in” parties and other “musts” provide them with plenty of opportunities to show themselves off to the world. 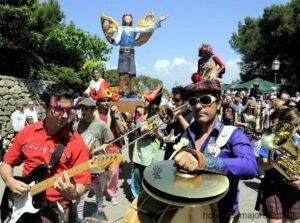 Apart from an interesting museum of archaeology, the village also holds a music festival, the Festival de Deia, in July and August. The events aren’t advertised; they don’t need to be, with a grapevine which functions better than any marketing campaign. The wooden pews in the church are full to bursting every night of the festival – often with people who have never been to a church service before in their lives. 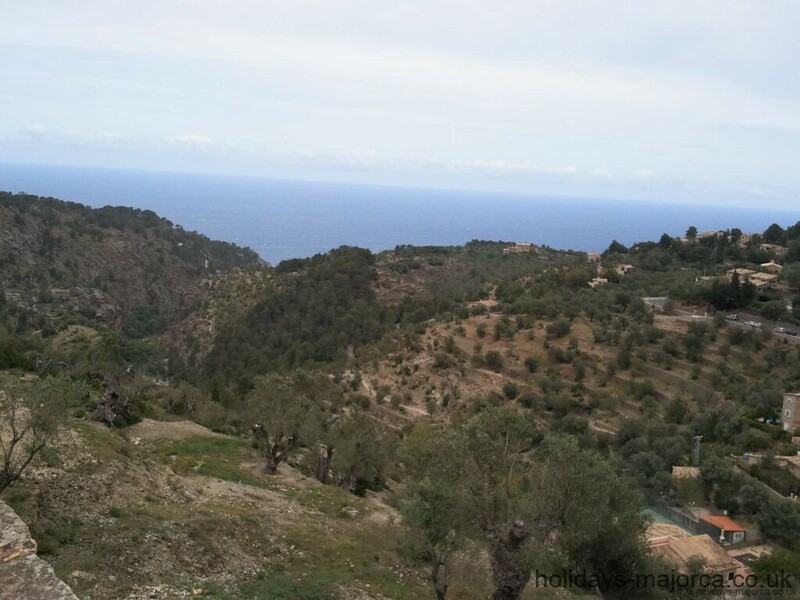 A guide to the romantic town of Deia. 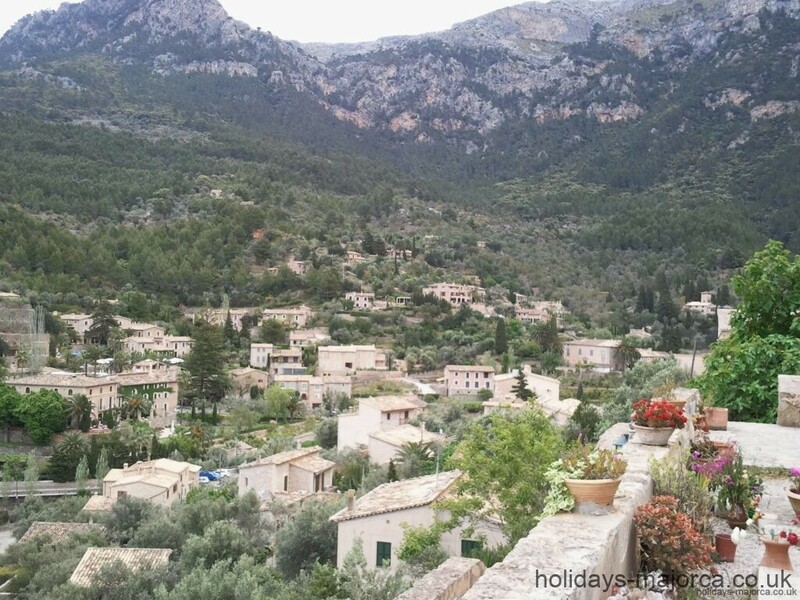 Located in the Serra Tramuntana mountain range on the west coast of Majorca.